Fisher Hill is now doing its own distribution. For 25 years, QP Distribution did this service for us. After the death of its owner David Schafer, Fisher Hill moved all of its books from Kansas to California. By doing our own distribution, we are able to give faster and more personalized service. We distribute English for the Spanish Speaker workbooks. David Schafer’s Publishers Services, Inc. did our book printing for 25 years but now we are using Ben Franklin Printers that is located just 10 minutes from Fisher Hill. Our distribution and printing are both located in Huntington Beach, CA. Fisher Hill very much enjoyed doing business with David Schafer and we were surprised to hear about the sudden passing of this very kind and helpful person. Fisher Hill’s new distribution telephone number is 1-888-407-1187. Our email address is therst@icloud.com. Go to our website at www.Fisher-Hill.com to view all of our workbooks. Adults like our workbooks because the pace is reasonable, content is for older students, print is large, and the directions are in Spanish. Teachers like our books because everything is ready to go! There’s an answer key included in each workbook. One of our series, English for the Spanish Speaker has been a best- selling series for over 20 years. The workbooks have helped thousands of Spanish-speaking teens and adults learn English. 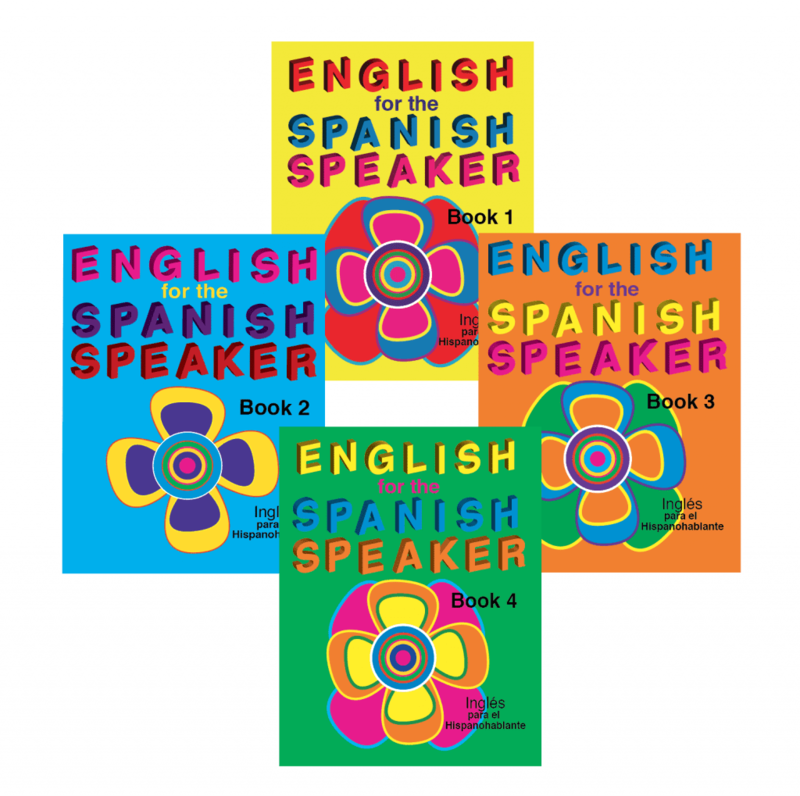 There are four workbooks and each one has stories, activities, conversations, vocabulary lists, games, dictionaries and answer keys and overall, English for the Spanish Speaker . Each workbook has a CD that can be ordered. Each CD includes the vocabulary lists, conversations, and stories from the books. Students can listen to the pronunciation of the words for each lesson. Each workbook has eight lessons. The lessons in workbooks 1 and 2 are about everyday themes. Workbooks 3 and 4 have lessons about everyday themes and also lessons about U.S. history and government. These workbooks can be used to help people pass the U.S. Citizenship Test. English for the Spanish Speaker series can also be purchased as ebooks and audios and downloaded from our website. Visit us on line at www.Fisher-Hillto view all of our workbooks.